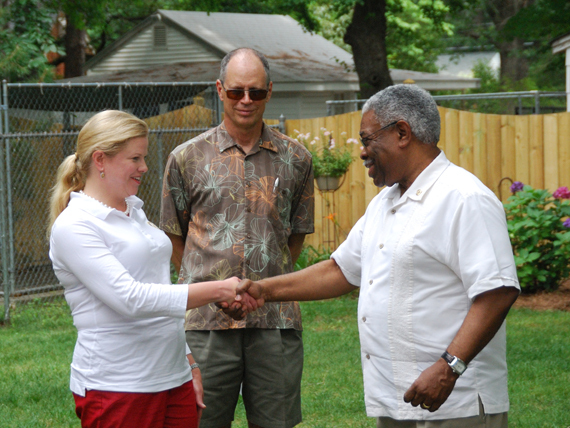 Below is the year of President John Frantz, 2010-2011. If you would like to go in chronological order, start at the bottom and scroll your way up. 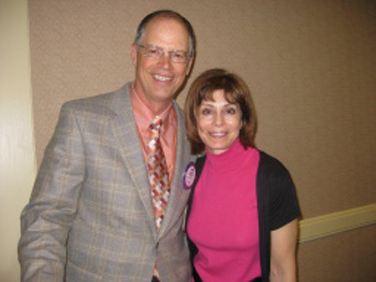 The event in late June that installed the new District 7600 officers also gave out the District awards for the clubs. 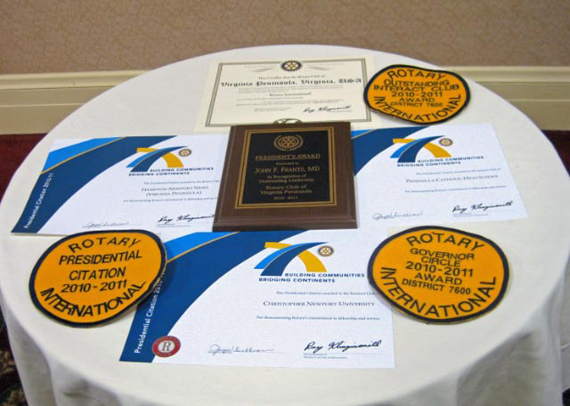 The Peninsula Rotary Club garnered an unprecedented five awards. 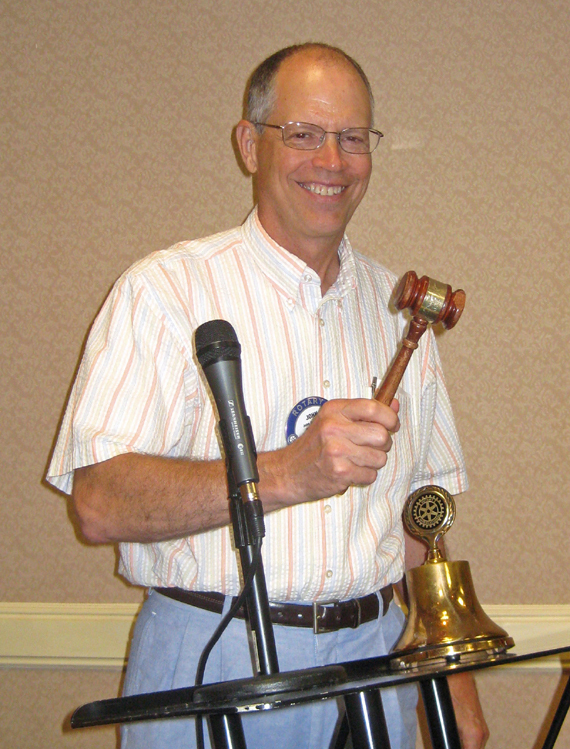 At the end of the June 22nd meeting, President John rang the bell for the last time, making way for President Elizabeth and her team, and the new Rotary year. 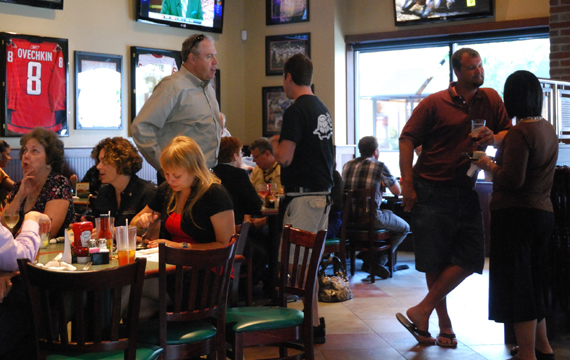 On June first, instead of a normal meeting, the club held an "after hours" meeting at The Green Turtle sports bar in Peninsula Town Center. 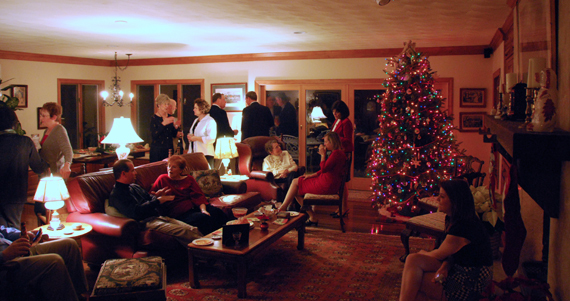 In the informal atmosphere, a good time was had by all. 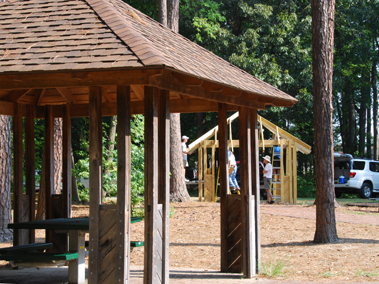 On a hot spring day the Peninsula Rotary Club supported An Achievable Dream's "Run for the Dream" event in Williamsburg, helping to man support tables. In addition, two of us ran in the half-marathon event. 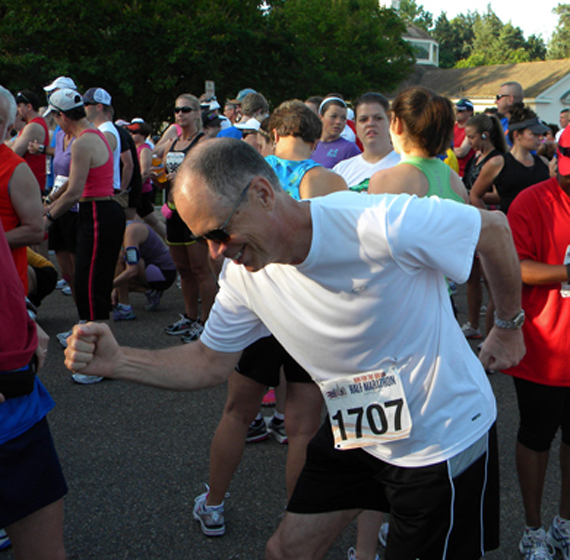 Here, President John hams it up just before the beginning of the race. He finished in a respectable time, but Rob Jones ran it much faster. 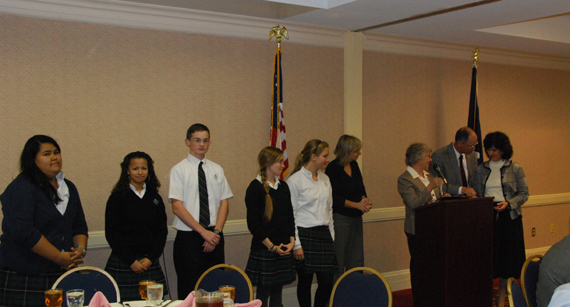 April 13th was our annual Career Day, and we were joined by students from Peninsula Catholic High School. 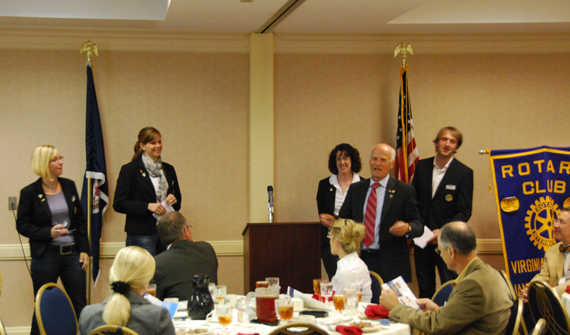 Members of the Peninsula Rotary Club answered the students' questions about our professions. 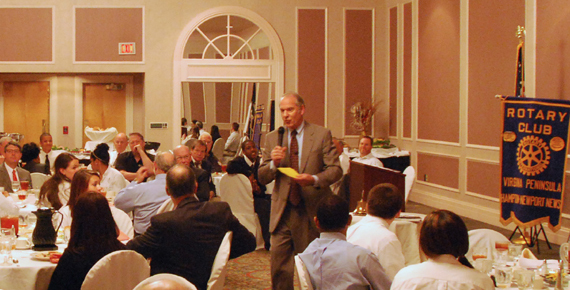 The fast-paced program, covering a lot of ground, was led by our own Greg Richardson. 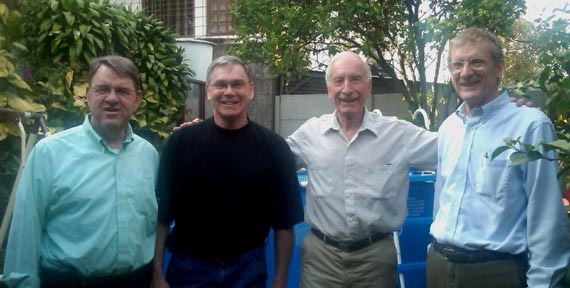 Three Peninsula Club members visited friends in the Rotary Club of Escazu, Costa Rica in mid-March. They visited ten schools in preparation for a project to provide the schools with purifications systems for the incoming water. While in Costa Rica, we had a chance to visit with Jorge Arman, our all-important first contact in the country. Jorge lives in California now, but by coincidence was in Costa Rica at the same time as the Peninsula Club. In this photo are Jim Pierce, Danny Carroll, Jorge, and Ray Spencer. 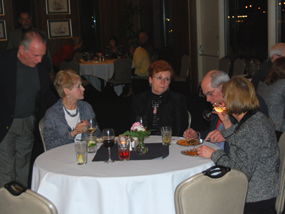 On February 26th The Peninsula Rotary Club celebrated its 35th anniversary at Charter Night. 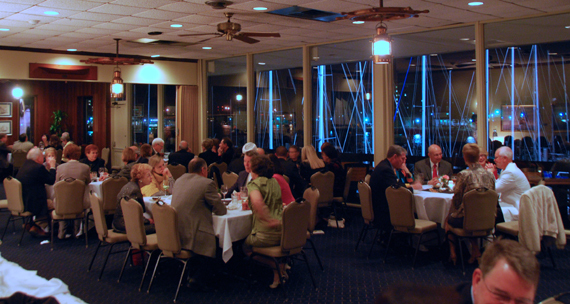 The party took place at the Hampton Yacht Club, with the harbor just outside the windows. At Charter Night, those who have in the past year become Paul Harris Fellows or have increased their PHF levels were recognized. 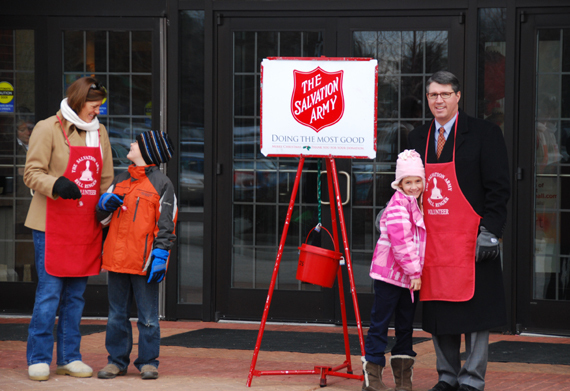 On December 22nd, at both Patrick Henry Mall and Peninsula Town Center, the Peninsula Rotary Club helped ring the bell for the Salvation Army. This photo shows Ned Spencer supporting this decades-old tradition by bringing out his entire family to ring--Hilary, Scott, and Noelle. 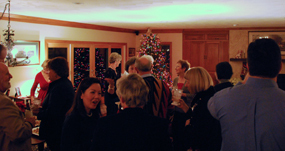 The club's Christmas party was held December 4th at the home of David and Cathy Miller. Good place, good food, good fellowship. 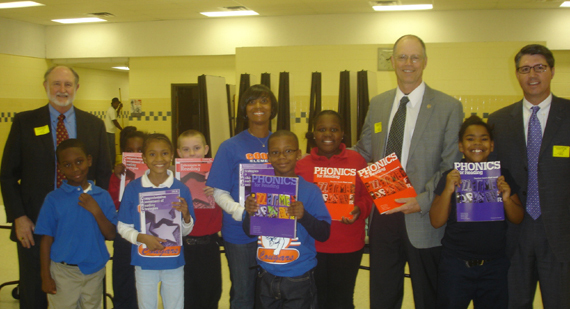 John Frantz, Ned Spencer, and Steve Adams present classroom aids to the Star Achievers Academy In Hampton. The aids are $2,388 worth of guidebooks, workbooks, and other materials aimed at helping a total of 329 students with their reading scores. 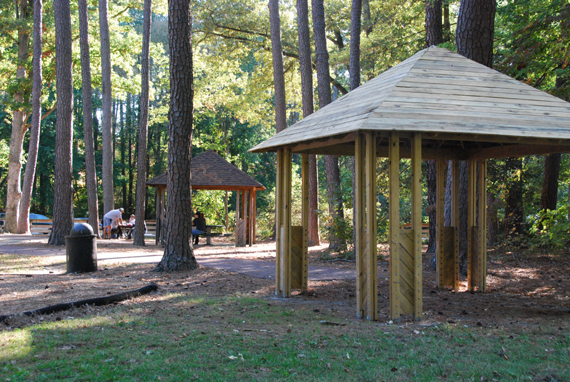 These materials were purchased with a combination of club funds and a $1,388 Rotary District Simplified Grant. On November 4th there was a brief item in the news about a landslide in Central America that killed 23 people and made many more homeless. The item quickly disappeared from the news, but in the Peninsula Rotary Club we had noticed that the slide was in Escazu, Costa Rica--home of our friends in the Escazu Rotary Club. 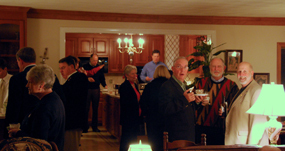 Within a few days, the Peninsula Club had raised $1,000 from members and sent it to the Escazu Club. Since one of the critical problems was that those who had lost their homes had nothing to cook meals in, the Escazu Club used our donation to purchase cooking pots and pans. 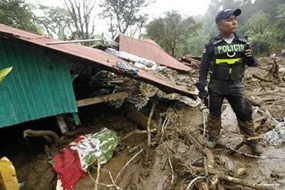 Above, the photo on the left shows a Costa Rican policeman beside a house destroyed by the landslide. 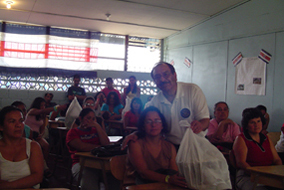 On the right is Mario Gil of the Escazu Rotary giving a set of cooking pots to one of the slide victims. In all, 50 families received pots. 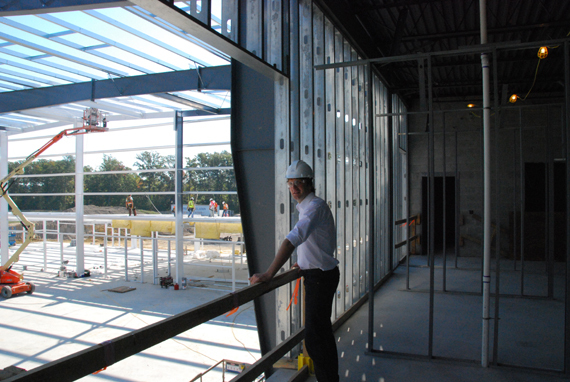 For more information and more photos, see the photo album on this website. 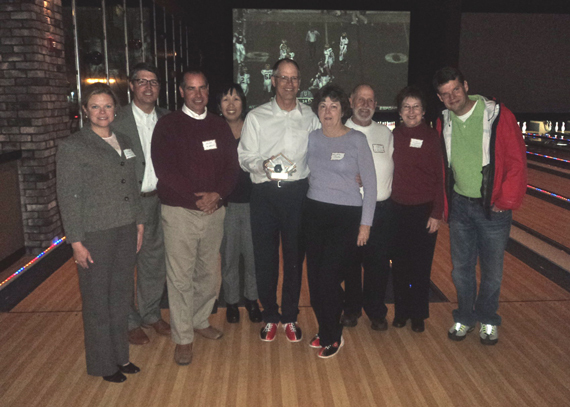 On November 4th the Peninsula Club won the bowling trophy at the first annual Rotary charity bowling event at CineBistro, in Peninsula Town Center. 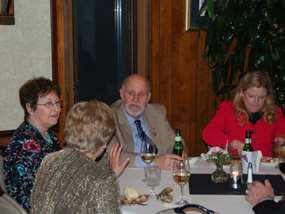 The event included dinner, movies, and bowling, and was held jointly by the Peninsula Club, the Warwick Club, and the Hampton Club in support of the Rotary Polio Plus campaign. 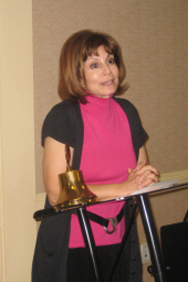 When conductor Joann Falletta spoke to us October 27th, she found out that she was a favorite of the Peninsula Rotary Club. 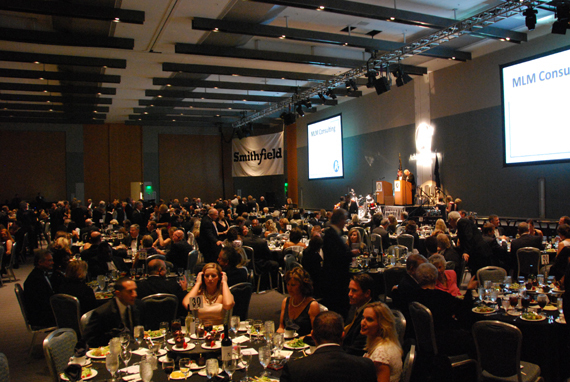 The 2010 Tennis Ball, co-sponsored by the Peninsula Rotary Club for the benefit of An Achievable Dream, took place on November 23rd. 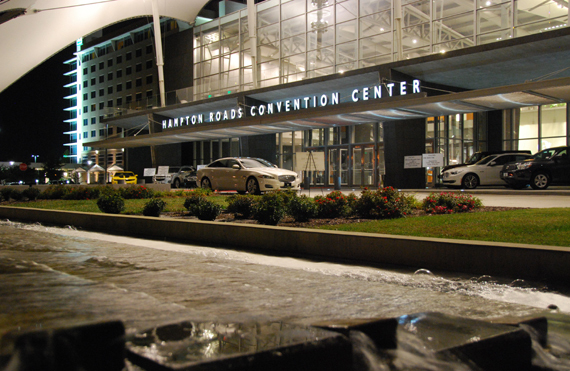 The venue for the Tennis Ball was changed this year--to the Hampton Roads Convention Center. This photograph shows the automobiles for sale positioned near the front entrance. Tennis Ball attendees circulate in the silent auction room. 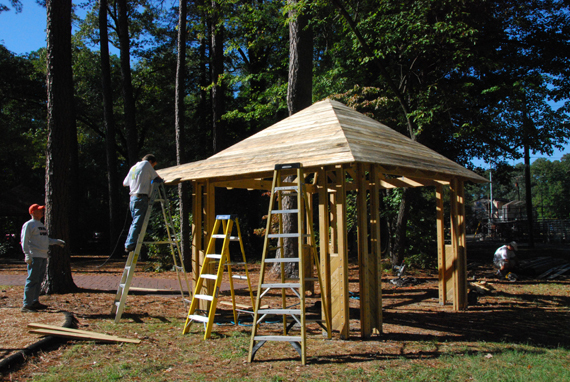 Work on the Boundless Playground shelter continues. 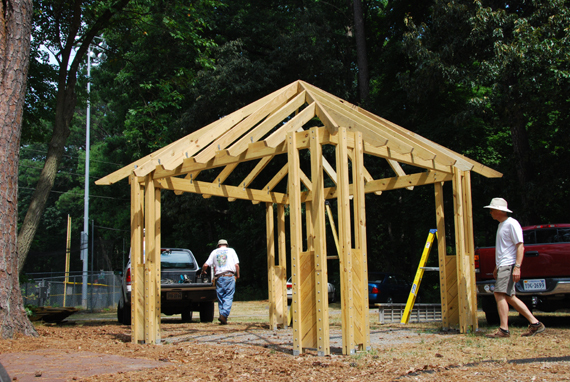 Here the almost-completed shelter, lacking only shingles and pavers, is shown with its completed sister shelter being used in the background. 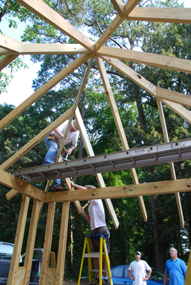 On a beautiful October day, Richard Blackwell trims sheathing boards, Al Roosendaal manages the electrical cord and checks the cutting line accuracy, and in the background Ned Spencer cuts another board. The GSE team from Germany visited our club on October 13th. "GSE" stands for Group Study Exchange--it is a program funded by the Rotary Foundation that gives young businessmen and professionals the opportunity to see how their jobs are done in a foreign country. 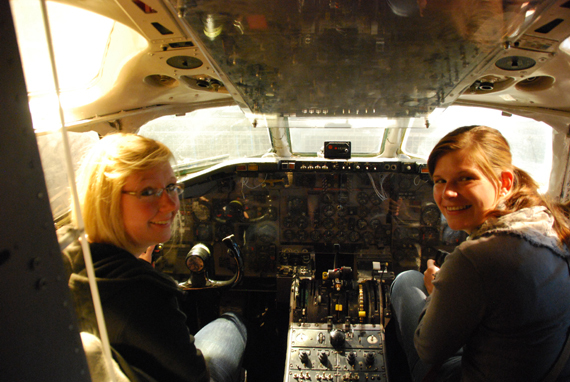 Above the meeting photograph, Frauke and Marion try out the cockpit of a DC-9 during their tour of the Virginia Air and Space Center; above them is Marc, an architect, visiting a construction site in Newport News. At our October 6th meeting, the new officers of our Interact Club at Peninsula Catholic High School were officially installed. 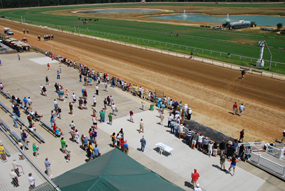 On July 11th the Installation of Officers was held at Colonial Downs. We have met at the racetrack before, but this time we were in an air conditioned "skybox" with a great view of the field. 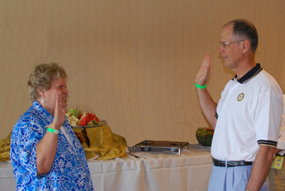 The officers and the Board of Directors was sworn in by District Governor Jayne Sullivan.